You’ll be provided with a strong foundation to share the sacred teachings of yoga. It includes all the elements that every Yoga Alliance approved course requires: History, Philosophy, Alignment and Energetics. This is where you get to fill in the blanks. We’ll encourage you to create your own signature sequence, mantra and code of ethics. Giving you the flexibility to make the content reflective of your philosophy and specific teaching style. YTT can be daunting and overwhelming. a successful Yoga Teacher Training. really well how it all works. Your books will be thorough, professional and beautiful. You'll get all the marketing stuff you need to successfully promote your training. No more hassle. Your school has been approved! The chase is over. Say hello to making a living doing what you love! Hug them goodbye and forget about the post-graduation work! Liability waivers? We’ve got you covered! create the most appealing marketing stuff. All you have to do is teach! To talk about all things Teacher Training. forum for you to ask questions and get resources. 1- Foundation of the Base Like in any other structure, yoga poses must be built from the ground up. 3- Law of Compensation Activate resistance to work tighter muscles and compensate for the tendency to bend only where the body is naturally flexible. 4- Dual Action Occurs by deliberately applying energy in opposite directions in order to overcome the Law of Compensation. These are key alignment techniques that can be applied to every single pose regardless of the style. Our intention is to correctly teach students each posture, bringing safety to the forefront, and honoring the heart of Yoga, Ahimsa: Do no harm. 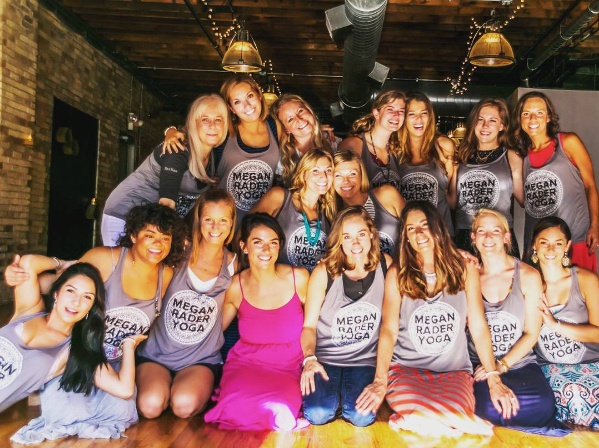 ​Megan's trainings are accessible and challenging, with a strong focus on safe alignment, strong breath, and pushing limits. she is the founder of Kula, because she wants to bring a warm, welcoming, beautiful space and experience to her community in Grand Rapids. Kula is the spot where you can show up on your mat, just as you are, move through your practice, and spend time with your neighbors. María Elisa es líder de ​a​ll ​y​ou ​c​an ​y​oga™​ en Cali. ​Fundadora de Actívate Yoga y Sadhana Yoga Club. ​Es Yoga Terapeuta del Centro de Yoga e Investigación Asana Andiappan en India. Su primera certificación internacional cómo profesora de yoga fue en diciembre del 2012 en el mismo país. Su estilo es versátil, dinámico, divertido y al mismo tiempo consciente, delicado y amoroso. Conoce a sus estudiantes a través de sus movimientos. Meet Latasha, A.K.A Urban Shakti. Her mission is to infuse individuals with the teachings and the tools to access the grandeur of their Spirit! Urban Shakti Yoga Teacher Training reflects the ancient teachings of Yoga, made accessible for today’s fast paced lifestyle. Mi historia con all you can yoga™ es una historia de amor. Conocí su firme y hermoso propósito en Venezuela, mi país natal, en el que hay fuerte presencia de este movimiento. Siendo testigo de cerca, pero de lejos a la vez del trabajo fascinante que como comunidad han gestado alrededor del mundo. Un trabajo impecable para enaltecer yoga. Desde esos comiénzos he sido gran seguidora y admiradora de su filosofía de trabajo, que lejos de ser una organización con nombre de yoga, es una comunidad de personas reales que han dejado aportes potenciales en investigación, herramientas, enseñanza, formación de yoga y compartir con todas nacionalidades, idiomas, estilos y linajes. Nuestro propósito en conjunto es mantener materias y contenidos que todo practicante tiene el deber de profundizar. Trabajamos con filosofía y estilo de vida, con historia y libros tradicionales, anatomia, centros de energia, branding y todas las prácticas tradicionales de Hatha yoga. Uno de los objetivos es asegurar educación curada. Cuando un Teacher training está listo para salir al mundo, previo empoderamiento All You Can yoga, estamos asegurando un currículum excelente, estamos ofreciendo la mejor educación y la expansión a la comunidad, ya que cada graduado de nuestras formaciones pasa a ser un embajador en cualquier país del mundo para vivir su pasión acompañado. all you can yoga™ ha utilizado efectivamente herramientas tecnológicas y de vanguardia para llegar a personas que están lejos y quieren estudiar con nosotros. Por eso algunas especialidades como Chakra vinyasa o clases de Anatomía esencial, Mitología, etc las podrás encontrar en línea y tener una educación directa con los líderes que se deseae estudiar. Si en tu país hay un #AYCYLEader contáctalo y entérate de como puedes unirte a la comunidad. all you can yoga™ está en busca de que este directorio se nutra de los mejores del mundo. I'm so glad that I decided to be a part of the facilitator training through All You Can Yoga. In just a few days, I learned so much about the process of leading a quality teacher training for my yoga students. Terri and Vanessa continue to be very valuable resources for me as I develop my own training. I highly recommend the AYCY facilitator training. I left feeling grounded, empowered, and ready to lead others on their yogic journey. My business has improved tremendously from AYCY's leader program. It was Vanessa, (founder of AllYouCanYoga) who convinced me it was really time to do my own teacher training and to use AYCY's manuals. The comprehensive curriculum we have put together has given me the opportunity to provide a yoga teacher training that far surpasses the current standard of education for yoga teachers. I was able to make this teacher training my own by tweaking the manuals to add my own content. With Vanessa's media and marketing background, she was able to make these books beautiful, understandable, clear and professional. With the AYCY leader program, I have been able to create and execute a Yoga Teacher Training that is in line with the high quality of yoga and service that I try to uphold in my business. The teachers we have produced from this training have gone out into the world as yoga retreat leaders, yoga and nutrition specialists, yoga for stress reduction corporate teachers, and more! It has been a privilege to help train individuals who are truly living their passions and making a difference in their communities. As a result, my business has grown each time they recommend the training to others. In today's competitive yoga industry, it is hard to earn a living. I had long been popular on Instagram but financially I was stuck. For a long time, I felt like I was drowning. The AYCY leader program has given me the opportunity to raise my vibration through raising my income. 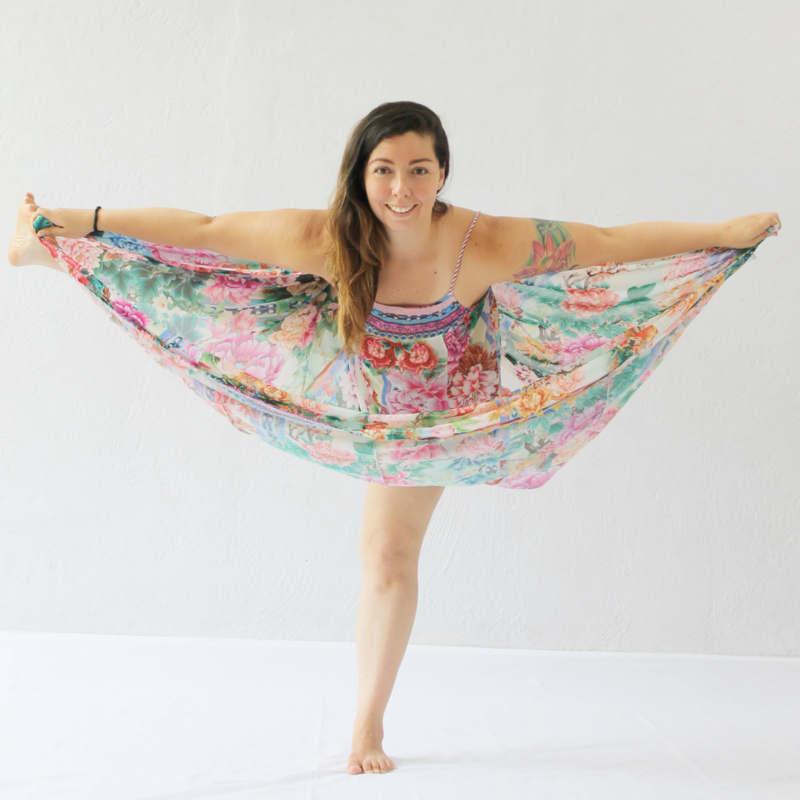 After leading a yoga teacher training I was able to reinvest in myself and my business. It has helped me feel and BE successful. I now have the income I need to live well and continue to follow my passions of teaching internationally. In addition, I can now afford to further my own education in order to continue raising the quality of my own teaching and being. I said YES to being an AYCY leader because of the comprehensive program, the clear and beautiful manuals and the support I received from Vanessa and the AYCY team right from the get-go. What I love about being an AYCY leader is being part of an international community committed to helping others excel. I love that we are changing lives on training at a time. I also love how organized and simple the program is. It is really so well laid out that it takes much of the stress and guesswork out of running a yoga teacher training. Creating a curriculum and schedule to produce great yoga teachers can be daunting. The AYCY leadership program makes it understandable, functional and achievable.